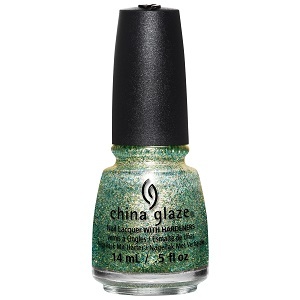 China Glaze Nail Polish, Holo At Ya Girl!, 1470, .50 fl. oz. Glitter topper with gold micro-glitter mixed with scattered small green and blue glitter in a clear base.